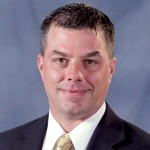 Jeff Machols is Vice President of Continuous Improvement for Voya Financial. He is responsible for new lean transformations, process optimization, Agile methodology and Intelligent Process Automation. His approach to Continuous Improvement, commitment to developing people and leadership have been key to driving in Voya’s cultural transformation. Prior to his current Role, Jeff held multiple Information Technology leadership positions at Voya, ING and CitiStreet. He lead large technical teams and projects, including the build out of Voya’s infrastructure technology and initial migrations out of the IBM Datacenters. Before joining Voya (CitiStreet), he had multiple computer programing jobs in the manufacturing industry. He holds a bachelor’s degree in Computer Science from Rochester Institute of Technology and an MBA the University of North Florida.